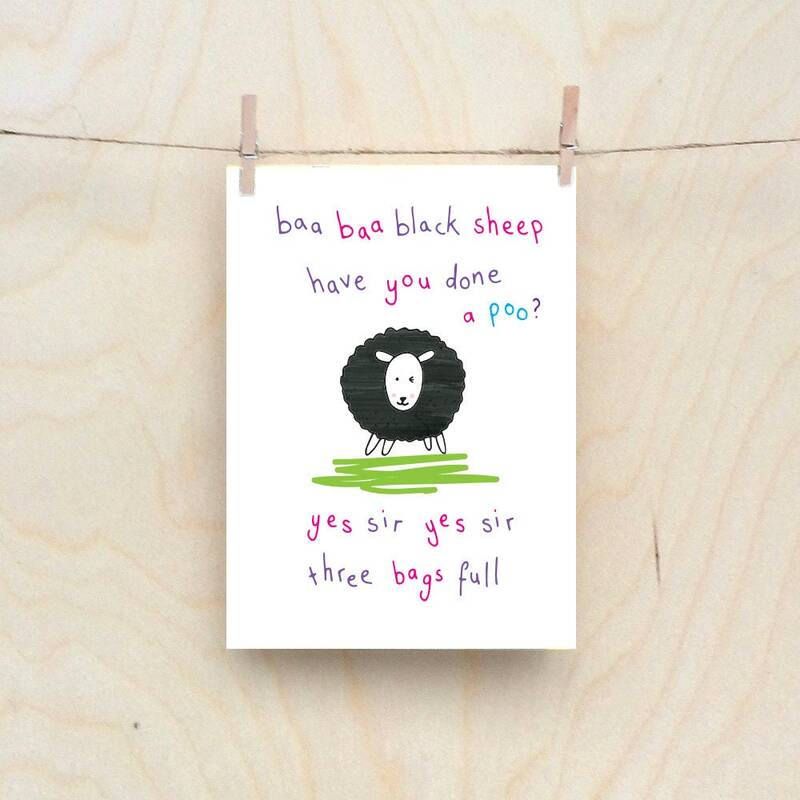 baa baa black sheep card, Rude kids cards, Silly Children's cards, Toddler rude words card, funny kids card. funny birthday card. These rude kids cards are inspired by a friend of mine who follows me round the school playground whilst I am dropping off my kids shouting "POOPY HEAD - SILLY BILLY - BUM BUM FACE"
It brightens my day and we thought it might brighten yours. Also most of our cards are for rude adults so we thought we should let the kids in on the act. Amusing greetings card printed on A6 300gsm card. Professionally printed. comes with envelope in cellophane wrapper. Shipped in hard backed envelope.